ISLAMABAD: The government of Pakistan Muslim League (Nawaz) has taken over $34 billion foreign loans from bilateral/multilateral as well as commercial bank during the last four years. While giving details of year wise borrowing, sources in the Finance Ministry stated that the government borrowed $6.933 billion in 2013-14 with $6.440 billion loans and $493 million grants. The loans constituted 93 percent of the borrowing while grants seven percent in fiscal year 2013-14. 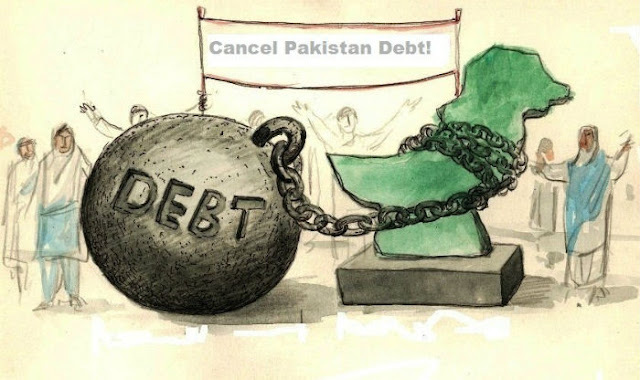 In the subsequent fiscal 2014-15, the government borrowed $5.913 billion with $5.398 billion loans and $515 million grants, while in 2015-16 the total borrowing stood at $7.566 billion with $6.917 billion loans and $650 million grants. The government borrowing remained $11.049 billion during the fiscal year 2016-17 with $10.553 billion loans and $497 million grants while, government’s borrowing during the first four months of the current fiscal year stood at $2.481 billion with $2.342 billion loans and $139 million grants. Sources further stated that bilateral borrowing was $8 billion during the period under review with $2 billion assistance and $6 billion loans, multilateral $15.380 billion with $14.915 billion loans and $465 million grants and $7.251 billion commercial borrowing. The government also borrowed guaranteed loans of $1.273 billion from bilateral and $200 million from commercial banks during the last four years of its tenure. They added that need for foreign assistance and loans were necessitated by the constrained fiscal space for budgetary support, infrastructure development and current account deficit. The government has also been borrowing to finance the import bill, for building reserves as well as for capacity building and emergencies and disasters. The added that type of foreign assistance and loans included (i) budgetary support; (ii) project financing; (iii) technical assistance; (iv) short-term financing; and (v) export credit.